Five-star comfort in the middle of the Ötztaler alps and a fusion of minimalism and traditional alpine style create a warm and welcoming atmosphere for our guests. The Hotel Bergland enjoys a central yet peaceful location in the heart of Sölden. It is the ideal starting point for active and relaxing holidays in the Ötztal Valley. Crystal-clear water and stunning views of the surrounding mountains make the Sky Spa, perched on top of the Hotel Bergland, the ideal place to relax. Wood, stone, felt, wool and linen combine in the Hotel Bergland's rooms and suites with their traditional yet modern decor. James Bond actor Daniel Craig was in Sölden during the filming of Spectre and personally recommended a stay at the Hotel Bergland. Delicious food according to traditional recipes using ingredients sourced from the region – that is fine dining at the Hotel Bergland. "We love our mountains and want to share this passion with our guests," says your host Sigi Grüner. 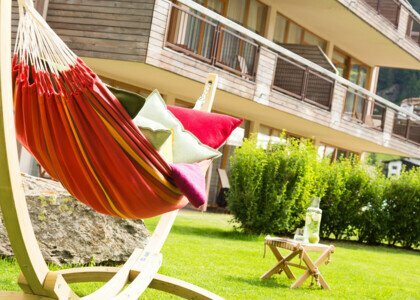 Surrounded by the stunning landscape of the Ötztal Alps, the *****Hotel Bergland in Sölden is the ideal basecamp for holidays in the mountains.